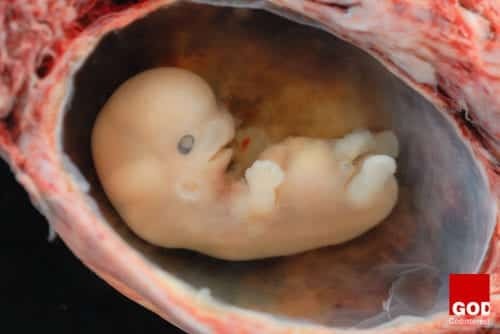 The idea that life in the womb starts at conception has been discussed for long between Pro-life and Pro-Abortion advocates. While Planned Parenthood and other leftist organizations have tried to persuade women that their babies are just a group of cells, a lot of research has continued to prove otherwise. 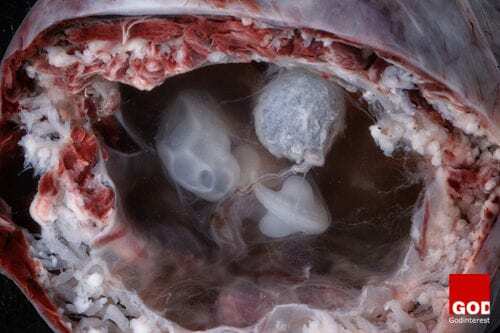 A recent photo-shoot posted to Flickr by Lunar Caustic gives a very exciting high-resolution glance into life inside the womb as early as 3 weeks. That is before many women have the slightest idea that they’re expectant. 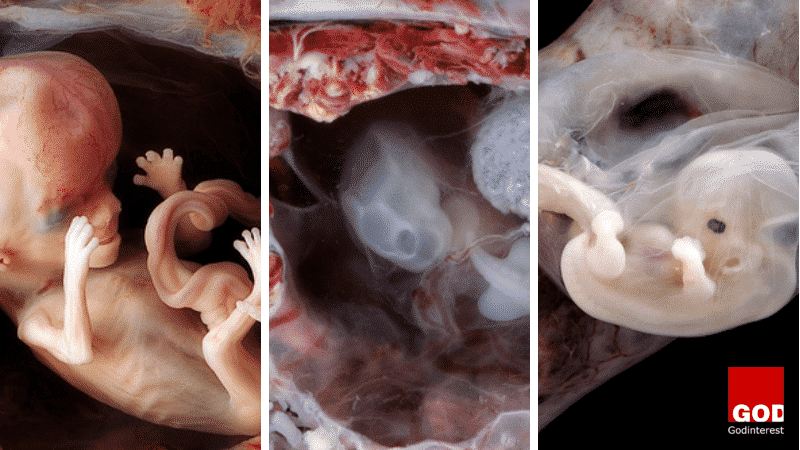 The amazing photos captured by this gifted photographer were shared by live Action earlier this year, and have since created immense support for the pro-life community around the web. Having lost one of my friends in an abortion related complications that was done at the backstreet alley by a quack was the worst experience I had to go through. The enemy planted a seed in her mind that she was still young and bringing a child in this world out of wedlock is its self a sin. It was the worst decision she ever made-committing a sin to cover up another. The other scenario was of another friend who lived with guilt and the news that she couldn’t conceive just because her womb was tampered with was a bitter pill to swallow. The trauma, regrets and “I wish I knew “phrases engulfed her. She sunk into depression. The tragedy was very dispiriting but by standing with her at her lowest moments and sharing the love of Jesus, she got the much needed help from a counselor and gave her life to Christ. A key to a happier life is resilience and entrusting your all to Christ. I felt bad and wished if they only hinted to me the crimes they were planning to commit. It’s said that “If wishes were horses, beggars would ride. “I would have sat them down and talk sense to their lives. The worst decision one can ever make is trying to terminate the unborn child because it’s fighting God’s idea. You never know what you’re getting yourself into. If you get yourself at cross roads, seek counsel, read the word of God and meditate upon it day and night. It is said that one man’s meat is another man’s poison, right? In our midst in the society we’re living in there are people who have no place for good morals. Anyone can do whatever they want as long as it suits them forgetting that there’s God who should be the center stage in our lives. Whether it is distasteful or not, people have this mentality of ‘me, myself and I’ altitude disregarding the word of God which teaches us on The Ten Commandments. Thousands of people if not Millions are spending their lives on their knees praying to GOD to bless them with a fruit of their womb where as others are coming up with weird ways to dispose the babies. Who are the people in your inner circle? Who are your friends or whom do you hang out with? Sometimes people get to succumb to bad influence, lose focus and do things that they ought not to be doing. Friends are awesome if you have the genuine ones but woe unto you if you can’t write home about yours. All in all, you can’t just pull out without sharing the love of GOD with them. Share the story of the cross you never know the impact the word will have on their lives. The Bible categorically emphasizes on how God knows us before He forms us in the womb. When one conceives God is much aware of everything and He plans it according to His perfect will. The notion that conceiving must always be planned is always far-fetched because the LORD indicates that before we were formed in our mother’s wombs he knew us. It’s never a surprise to GOD He is the master plan. 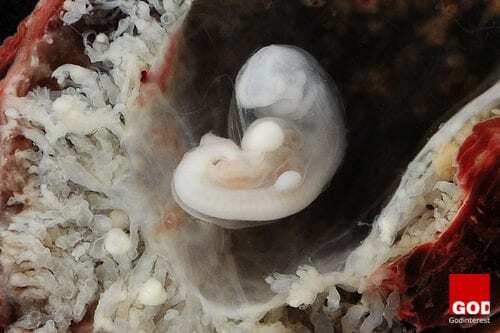 After 3 weeks from conception, an embryo’s heart begins to beat and this shows that there is life inside the womb. God affirms the value of every human life-from babies in the womb to the elderly. 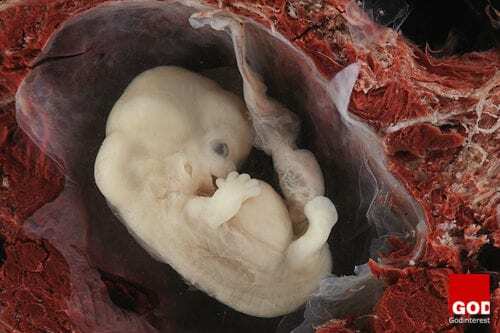 Why would anyone call a child in the womb a cluster of cells? This is a lie that pro-abortionists are feeding to our brains and because of our ignorance, we fall prey to their schemes which is a lie from the pit of darkness. 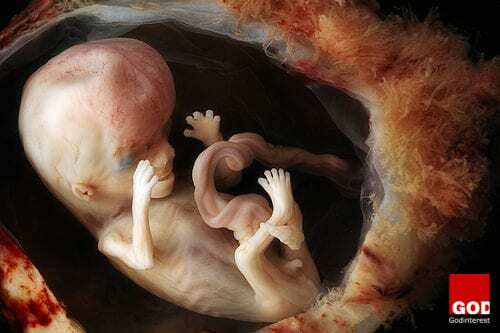 “For you formed my inmost parts “God forms the unborn child, and abortion is destroying God’s intention.We need to respect and regard the unborn child as a blessing and bear in mind that God mastered the planning. The formation of the life of a person in the womb is the work of God. “You knitted me together in my mother’s womb. “What a confirmation that God is involved in this! It’s a privilege to know that God worked on you to form a child. It’s such a blessing and this shows that God has supremacy over our lives starting immediately from conception. God is the primary knitter, creator in the gestation period. “I praise you because I am fearfully and wonderfully made; your works are wonderful, I know that full well. 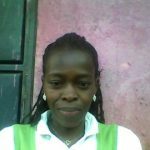 “An unborn child is certainly not just a cluster of cells that can be disposed of anyhow. The child has an identity known by God in continuing with who they will become as an adult. God has given the unborn child a plan for their life but abortion takes this away. 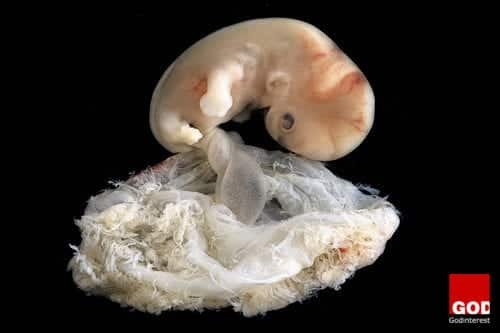 Every child conceived has the right to live and no human being is responsible to terminate this beautiful God’s idea. Psalms22:10 “From birth, I was cast on you; from my mother’s womb you have been my God. “It’s awesome to know or to have the assurance that you have the power to trust in God, hoping in Him and casting all care upon him. This Bible verse emphasizes on allowing God to take care of the unborn child by committing the child to Him. Knowing the danger the unborn child is exposed to, and the schemes that may be laid to end his life, God is committed to preserving the child. Why would anyone have the intention of ending the precious life of the unborn child? May you find the grace to preserve the precious life that God entrusted you with the purpose to carry the child to full term to fulfill God’s intention of the child. Having conceived a baby without ‘planning’ as the world says it-it’s an excuse woman impose to get rid of the baby in their womb for reasons better known to them-as convenience. Abortion is in itself murder-if a legal term is anything to go by. Exodus 20:13 says, “Thou shalt not kill.” God has supremacy over our lives starting from conception. As I am writing this, I am not condemning anyone whatsoever. Who am I to judge? John 8:10…..straightening up, Jesus said to her, “woman, where are they? Did no one condemn you? John 8:11 she said, “no one, Lord, “And Jesus said, “I do not condemn you, either go from now on sin no more.”]If you have had an abortion doesn’t mean that you’re evil, you hate babies or you aren’t a good mother. Do not let the world condemn you. You are a sinner just like everyone else. Repent and because our God is a loving father-He is faithful and just and he will certainly forgive you. The saving grace of our Lord Jesus Christ brings forgiveness of sins. 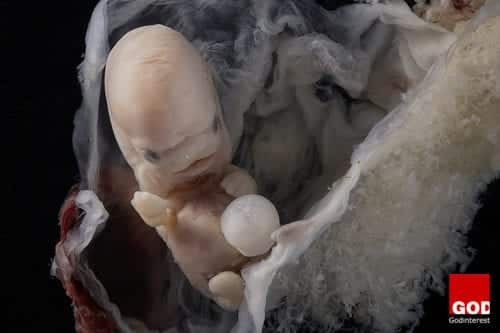 Embryo at 3 to 4 weeks in the womb.